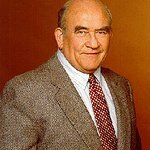 Legendary Emmy-winning actor and comedian Ed Asner presents the 7th Annual Ed Asner & Friends Poker Tournament Celebrity Night, returning to the home of “Lou Grant” and “The Mary Tyler Moore Show” on Stage 11 at the CBS Radford Studio (formerly MTM), Saturday, June 1, 2019, 5:00 PM. Asner leads a long list of celebrities, sponsors, and top movie studio execs who are ALL-IN this year on behalf of The Ed Asner Family Center (TEAFC) dedicated to helping differently “abled” individuals with autism, developmental delays and other special needs. More than 400 guests are expected to attend at this year’s event. “This is really something special and I am looking forward to returning ‘home’ to the studio where Lou Grant was created. It’s so exciting to have this poker tournament at a special place I helped build. A place I went to every day for 12 years. It’s going to be a magical night filled with nostalgia and wonderfully fun surprises,” said Asner, who has a son and grandsons on the autistic spectrum. Past celebrities that have joined Asner include Rosie O’Donnell, Don Cheadle, Matthew Modine, Michael Chiklis, Dylan McDermott, Lou Diamond Phillips, Ed Begley Jr., Tom Bergeron, Don Cheadle, Peter Fonda, Darryl Hannah, Thomas Gibson, Lisa Loeb, Michael McKean, Holly Robinson Pete, Wayne Brady, Randy Rainbow, Sebastian Bach, Rocky Carroll, Patricia Heaton, Ivy Teves, William Zabka, Greg Grunberg, among others. Now in its 7th year, the poker tournament is expecting to raise over $200,000. The Ed Asner Family Center is a nonprofit co-founded by the Asner family whose mission is to help those with special needs and their families seeking wholeness in all facets of life. The Ed Asner Family Center not only caters to the needs of the special individual, but aims to embrace the complete family, helping them meet the challenges they face with grace and support. The Center offers arts and career advancement programs after school and on the weekends as well as counseling and mindfulness classes. A longtime advocate for the developmentally disabled and those on the autistic spectrum, Asner personally understands the challenges that special needs families face, and the healing power of a creative, loving environment. The Los Angeles based The Ed Asner Family Center is the first of many branches nationwide. In the past, the Ed Asner Poker Tournament has raised much needed funds for charitable organizations such as Autism Speaks and The Autism Society of America. In addition to the Celebrity Poker Tournament, guests will enjoy a dinner buffet, cocktails, silent auction, live auction, opportunity drawings, a wine and whiskey pull, among other surprises. Poker prizes will be awarded for the top three winners, as well as the players at the last table. Non-poker players can also join in to watch the poker tournament, enjoy the buffet, cocktails, and participate in the Silent/Live Auctions.